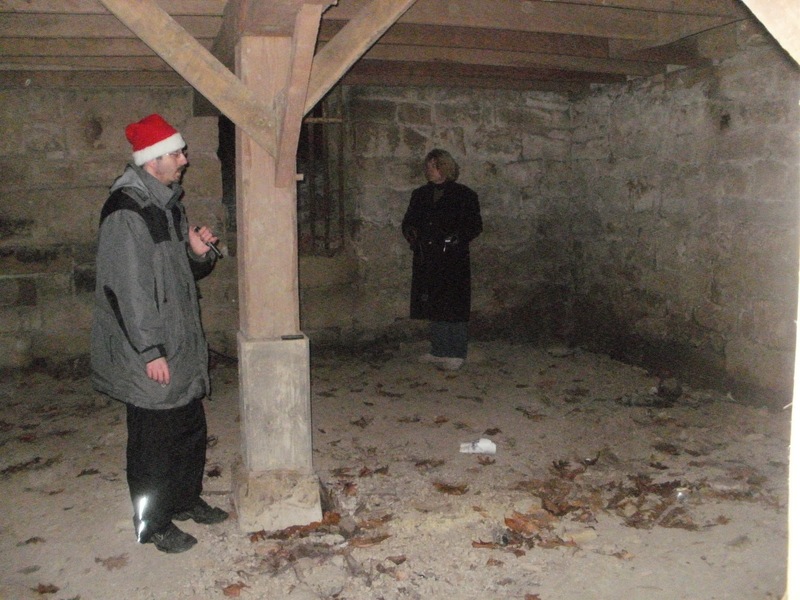 Something Is Out There...: A Christmas Eve Investigation At The Grist Mill. 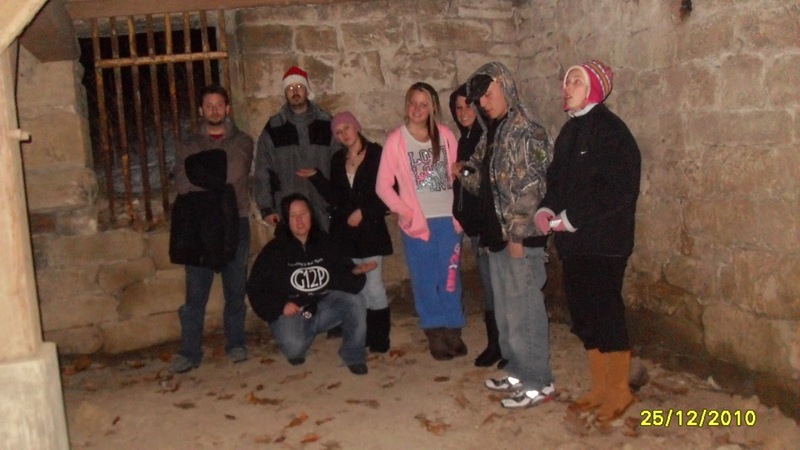 A Christmas Eve Investigation At The Grist Mill. There are many ghost stories about Beaver Creek State Park. Gretchen's Lock is the most infamous with stories about Jake the night watchman, Gretchen Gill, Lucy Cobb, and Esther Hale. Some characters, like Esther, have several stories about them. 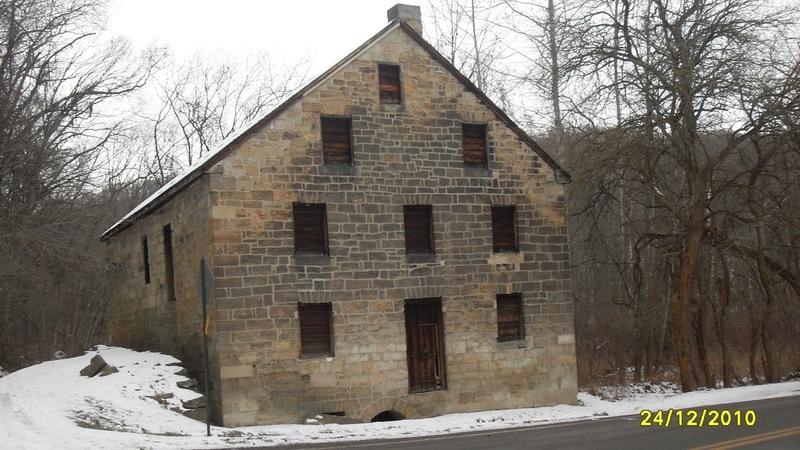 Esther either starved herself to death or hanged herself on the third floor of the Grist Mill. Some say she haunts the bridge and appears on Aug 12, the anniversary of her supposed wedding. And then there is the story that we investigated. According to the Sandy and Beaver Canal Association, of the two stories, Esther and Gretchen, they believe that Esther Hale was actually a real person and Gretchen is a myth. What they know of Esther is that she was a Quaker preacher and she was engaged to be married. Her love enlisted to fight in the Civil War and Esther promised to wait for him by the Grist Mill every day until he returned. He never did, being killed in the war. The story goes on to say that on Christmas Eve, Esther is supposed to write the word "COME" somewhere on the wall of the Mill, begging her love to "COME" back to her. There were 9 of us who went down to the Mill. We met at 11:45pm. We first walked around the area to make sure there was nothing written on the walls anywhere before we started. I had visited the site earlier in the day and took several pics to have something to compare our night time pics to. My crew was Briana, Will, Dan, Sammi, Caitlynn, April, Brooke, Jon, and me. Briana, Dan, and Will took the inside of the Mill, while Jon, April, Brooke and myself watched the four walls on the outside. At Midnight, we all had recorders and started our own EVPs, and took pics and video of the area for 5 full minutes. 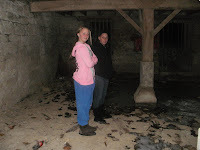 We then entered the Mill and did several more video and EVP sessions. While we have not gone over all the evidence yet, so far we have captured nothing that suggests the word COME was written anywhere. 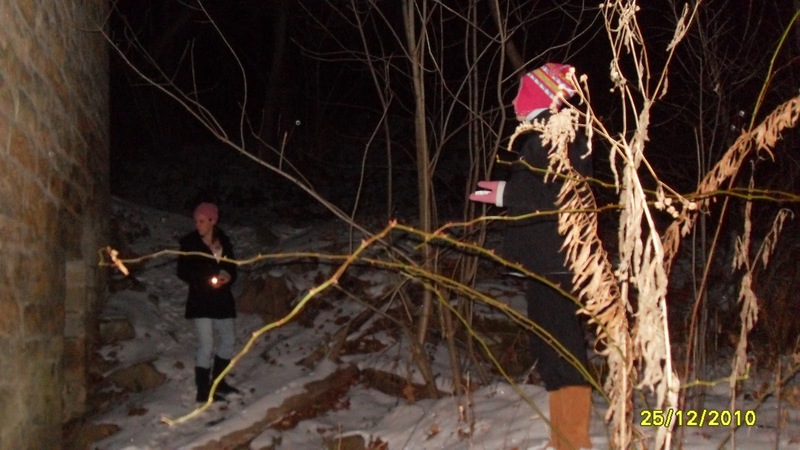 We did get some nice orb shots and heard some noises coming from the woods which turned out to be two deer. But for the most part the area was quiet and calm. The whole crew did an outstanding job on this Christmas Eve investigation. Brooke and April took up their positions in the rear of the building. April watched the clock for us and Brooke was monitoring our EMF detector. They also did EVP sessions. Jon manned the front of the building, taking pictures and EVP. I was on the lower right side doing the same. Dan was inside taking pics of the second floor, an area that actuallly had a floor 150 years ago. While the Grist Mill was rebuilt in the early 1970's, the stone used was from the original building. So far, we have collected no evidence that anything gets written on the walls on Christmas Eve. No one saw anything nor had any major experiences for the short time that we were there. We will be going over all the evidence we gathered over the next few days and let you all know if we find anything.